Michael Conlan has revealed that a gun was pulled on him and his father two days after he controversially lost to Russia's Vladimir Nikitin at the Rio Olympics. The incident happened when the London 2012 bronze medallist and his dad and coach, John Conlan, were leaving the Olympic village in a cab. "This guy pulled us over and pointed a gun straight through the window, a big Desert Eagle, right at his (driver's) face," said Conlan. "I looked at my father and he said, 'Don't move, stay calm'. "I was in a mood anyway. My only dream was to be an Olympic champion and I had that dream stolen from me. I couldn't really give two fingers that there was a guy stood in front of me with a big Desert Eagle." All 36 referees and judges in Rio have since been banned and Thomas Bach, president of the International Olympic Committee, said he was still not fully convinced that there was no match-fixing at the 31st Olympiad. Controversial results in Rio ultimately led to the IOC announcing last Friday that they're investigating the International Boxing Association (AIBA) in a move which could see boxing removed from the Olympics. The IOC have cited concerns about refereeing and judging, governance, finance, and the election of Gafur Rakhimov, who has been linked to organised crime, as AIBA president. Meanwhile, unbeaten Conlan is slated to meet Yorkshire southpaw Jason Cunningham at the Manchester Arena on December 22 in his tenth pro fight. Cunningham has won 24 of his 29 fights and is a step up, according to John Conlan who doesn't believe anyone was ever charged for the gun-toting incident in Rio. "Cunningham has a decent record and he's fought some good opponents so it will be a test for Michael in his final fight of the year," said Conlan, an IABA high-performance coach. His son's first outing of 2019 will be on March 17, but he eventually wants a rematch with Nikitin who is signed with the same Top Rank stable as the Irishman and has won two professional fights. 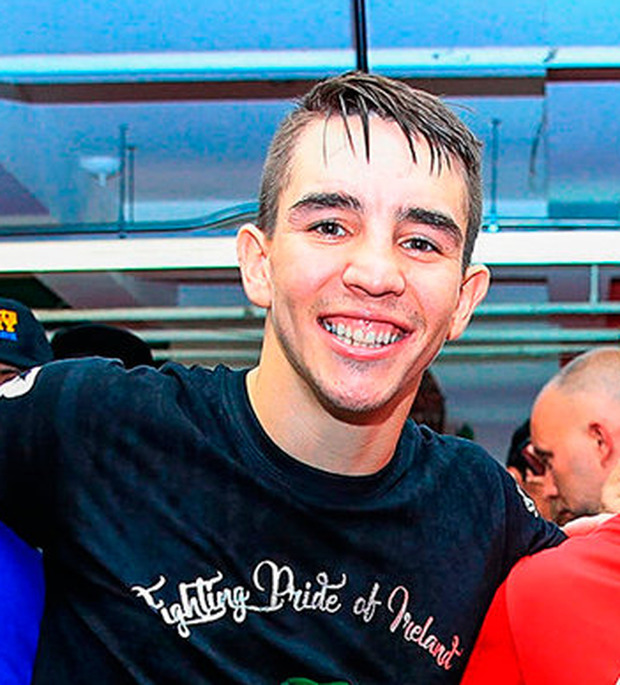 "First off, we've got St Patrick's Day again at Madison Square Garden and then maybe one more fight before coming back to Belfast for a big, big fight against, and please God let nothing stop this, Vladimir Nikitin," added Michael Conlan.